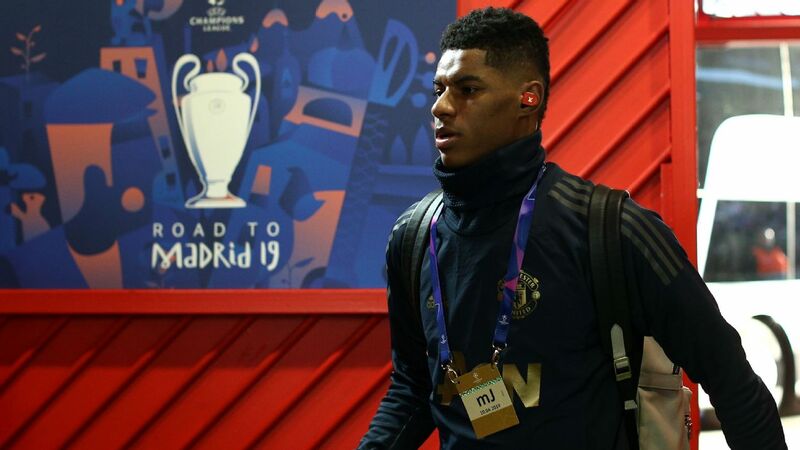 Barcelona have been looking for a long-term replacement for the 32-year-old Luis Suarez and are turning their attentions to Manchester United and Marcus Rashford, according to Mundo Deportivo. Eintracht Frankfurt striker Luka Jovic, 21, is on the club's shortlist, while sources have told ESPN that France star Antoine Griezmann is not -- despite his desire to quit Atletico Madrid this summer and €100m release clause. But Rashford, whose contract expires in 2020, is now "on the agenda" with Barcelona reported to be keen to add the 21-year-old to their ranks this summer as part of an overhaul that could see Philippe Coutinho depart. Sources have told ESPN that Barcelona are realistic about their chances of landing the Manchester United forward and are waiting to see if he ends up committing to an extension. United's stance is that there is no chance they will sell the England international and they're already talking about a new contract, but Barca feel Rashford has everything they're looking for in a striker. 23.00 GMT: That will do it for tonight's Transfer Talk LIVE blog. We hope you enjoyed it and remind you to check back shortly for more rumours and rumblings from around the world of football. Goodnight! 22.30 GMT: Man United's interest in a world-class centre-back is not secret and Real Madrid's Raphael Varane a name often linked. 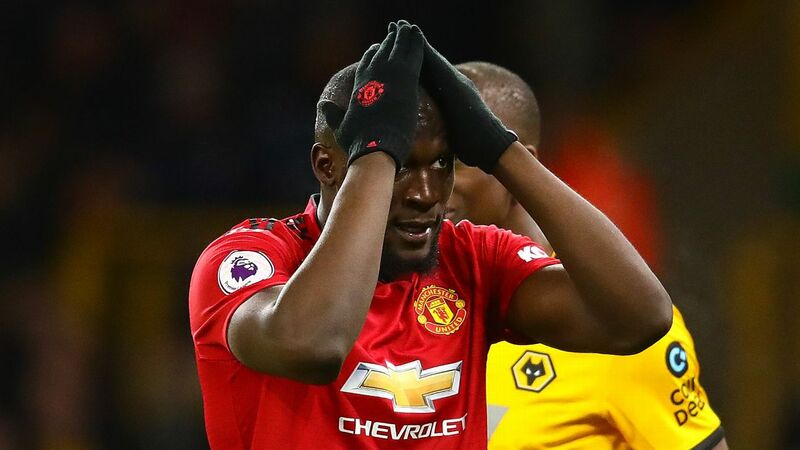 The Red Devils may have to fend off a European rival for the France World Cup winner, as Juventus have reportedly entered the race for the centre-back's signature. Diario Sport claims Juve have "zeroed in" on the 26-year-old and would like to reunite him with Cristiano Ronaldo in Turin. One factor that could prevent Juve or Man United from signing Varane? The return of Zinedine Zidane to the Bernabeu could keep Varane with Los Blancos, as Zidane as is a huge fan of his countryman. 22.01 GMT: Arsenal back in for Napoli full-back Kevin Malcuit? The French full-back's agent says they did not consider Arsenal's move for him January but could he be a replacement for the 35-year-old Stephan Lichtsteiner, who recently said he will not stay at the Emirates without a guarantee of regular starting football? The 27-year-old Malcuit has made 17 Serie A appearances for Napoli this season, impressing under Carlo Ancelotti. 21.18 GMT: Kevin Mirallas, remember him? The Everton winger has apparently failed to take his chance while on loan at Fiorentina, La Viola reportedly not interested in exercising Mirallas' £7 million buy option. The Belgium international has just two goals and an assist in 18 Serie A appearances for Fiorentina and with seemingly no place for him at Goodison Park, Mirallas could be soon searching for another club. 20.37 GMT: N'Golo Kante to Juventus? Italian outlet Calciomercato claims that the Old Lady has made Kante top priority if Miralem Pjanic decides to leave Turin in the summer. 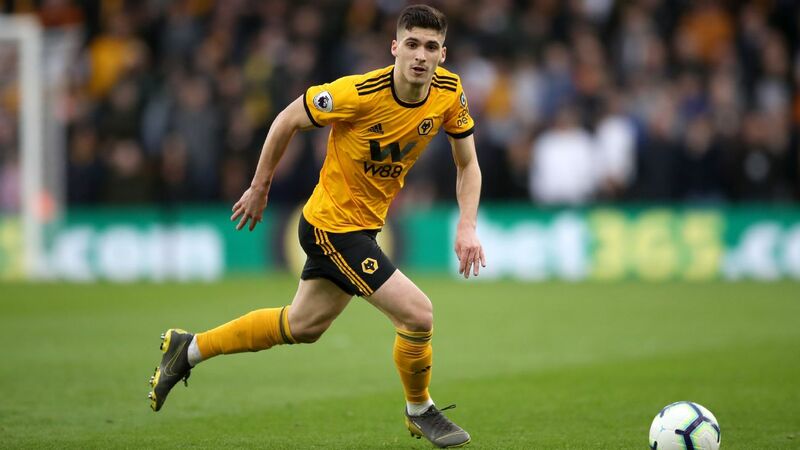 Juve have reportedly kept a close eye on the energetic midfielder since his breakout season at Leicester and view the France World Cup winner as the ideal replacement to Pjanic. 19.42 GMT: Despite Javier "Chicharito" Hernandez's recent uptick in form, Manuel Pellegrini and West Ham are expected to dive into the striker market this summer. 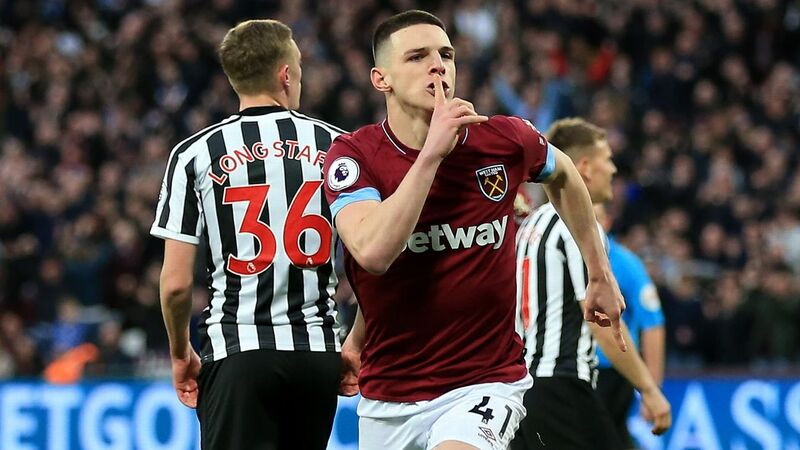 Reports in Italy have recently linked two Serie A's strikers with summer move to the London Stadium. Il Messaggero via football.london claims that the Hammers are "getting serious" in their pursuit of Roma hitman Edin Dzeko. Roma are reportedly asking for €30 million for the 33-year-old Bosnian, who has seen his goal tally take a serious dip this season. Dzeko has 12 goals in 30 outings this season for the Giallorossi, compared to 24 goals in 49 games a year ago. Meanwhile, Gazzetta dello Sport via Sport Witness believes that West Ham could return for Atalanta's breakout star Duvan Zapata. The Hammers reportedly had a bid between €35-40m rejected in January for the 27-year-old Colombian, but the report suggests that if the club increases its offer to €45m that will likely be enough to pry the scorer of 17 league goals away from Atalanta. 19.00 GMT: With reports out of Spain saying that Atletico Madrid is near agreeing a deal for Mexico international midfielder Hector Herrera, a source at the club speaking with ESPN would neither confirm nor deny that that an agreement was imminent. Reports in Portugal say he is willing to sign a five-year deal with Diego Simeone and Co., but the deal will not go through until the 28-year-old's contract expires in June. The source said Simeone is also interested in Herrera's Porto teammate Alex Telles, although that deal would be more complicated due to the €40m release clause for the Brazilian. 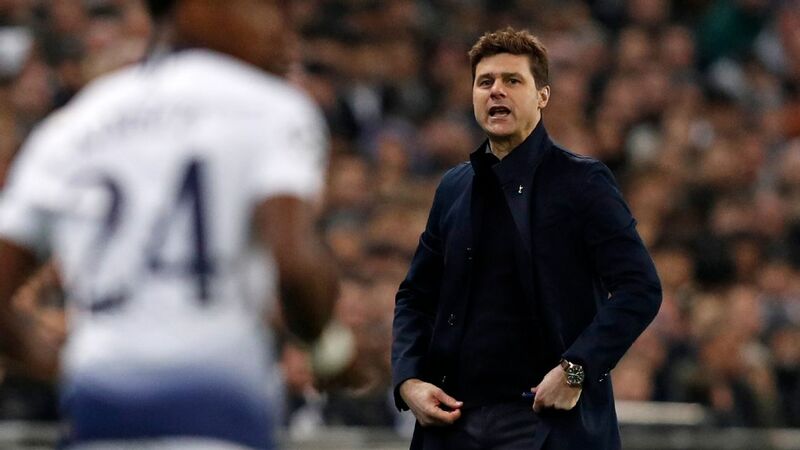 18.21 GMT: Spurs haven't signed a player in two transfer windows but Mauricio Pochettino and Co. are being linked with a Serie A midfielder in the summer. Gazzetta dello Sport via Sport Witness, claims Torino's Soualiho Meite is on the club's radar as a replacement for the recently transferred Mousa Dembele. The 25-year-old central midfielder is now reportedly valued between €25-30 million, after Torino bought him for just £9m from Monaco this past summer. West Ham are also reportedly in on the former France Under-20 international, but Spurs according to Gazzetta dello Sport have been "knocking at the door for months." 17.52 GMT: With in-form, loan star Salomon Rondon's long-term future Newcastle uncertain, the Magpies have been linked with a series of target centre-forwards, including Hoffenheim's Joelinton. The 22-year-old Brazilian has been linked with a £40 million move to Tyneside but recently try to squash such talk. 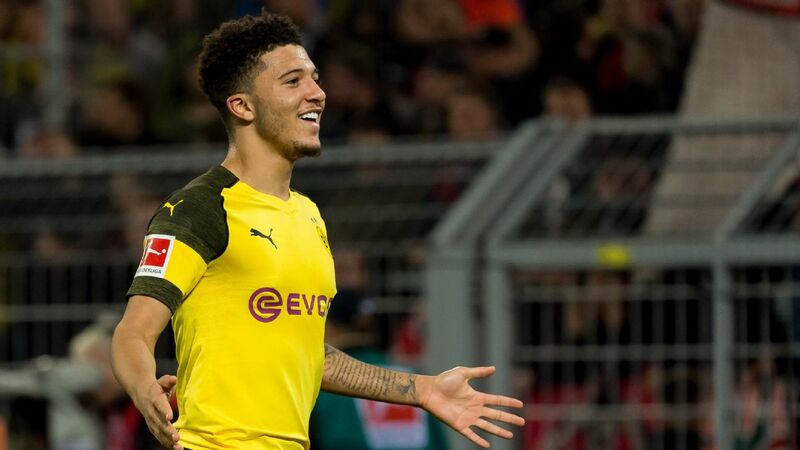 "I have a contract here, whether we are in Europe or not, that has no influence," Joelinton recently told German outlet Kicker. "I will continue to play here, with or without Champions League football. I'm very happy here and happy to play for Hoffenheim," he added. The former Sport Recife product has 11 goals and nine assists in 32 games, not a bad return for a youngster playing his first full season in a top five European league. 17.10 GMT: Napoli president Aurelio De Laurentiis has said he hopes manager Carlo Ancelotti stays with the club " for life," like a certain former Manchester United manager. "I'd like him here for life -- like [Sir Alex] Ferguson at Manchester," De Laurentiis said at an ECA assembly. "If I've got a manager who loves the city, out training centre and he said he wants to stay here for eight years, then I want him here for life. 16.21 GMT: De Telegraaf are reporting that Ajax want 22-year-old Razvan Marin from Standard Liege as a replacement for Frenke de Jong. The report adds the Dutch giants have agreed a deal worth €12m. 15.28 GMT: Inter Milan winger Ivan Perisic is keen to move on and almost joined Arsenal in January, but now the Gunners' London rivals Tottenham are interested, according to Tuttomercato. Perisic is reportedly valued at €35m, while Spurs are only willing to pay around €25m. So there's a bit more negotiating to go. 14.43 GMT: Moise Kean's contract stand-off with Juventus could see him depart, if quotes from his agent Mino Raiola on Facebook are anything to go by. The 19-year-old is seen as a star of the future but Raiola is keen to find him a new club if he's not guaranteed a start in Turin. "There are several assessments to be made, the boy [Kean] must always play," he said. "I almost brought him to AC Milan in January, Leonardo and I had done it all but Juve didn't want it to happen." 14.00 GMT: Manchester United will resist any bid for Paul Pogba this summer, sources have told ESPN FC. The midfielder has been linked with a move to Real Madrid after saying that playing for the Spanish giants under compatriot Zinedine Zidane is a "dream for anyone." 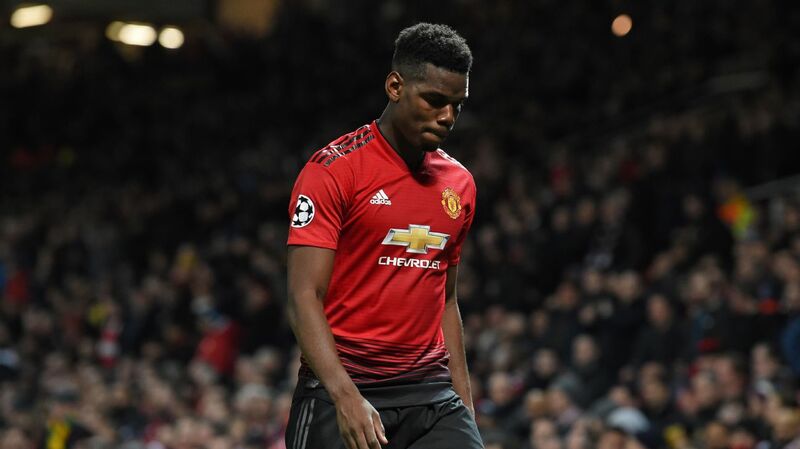 Reports in Spain have claimed Pogba has already decided to leave Old Trafford but sources have told ESPN FC that United are determined to knock back any interest from the Bernabeu or European heavyweights Barcelona, Paris Saint-Germain and Juventus. United are willing to open contract talks with the 26-year-old this summer to secure his future. 13.38 GMT: Arsenal are ready to move for PSG midfielder Christopher Nkunku, according to Paris Team. The 21-year-old wants to leave Paris so he can play regularly again, and would cost a reported €35m if Arsenal are keen. Though that is almost their entire summer budget. 12.42 GMT: According to Mundo Deportivo, Bayern Munich are looking to take advantage of the fact Barcelona appear to have moved on to Rashford by submitting a bid of €56m to Eintracht Frankfurt for Luka Jovic. Inter Milan are also rumoured to be interested, but Bayern are keen to get the deal over the line before anyone notices that they've got themselves involved. 12.11 GMT: Chelsea's Andreas Christensen has revealed to the Times that players won't be allowed to leave this summer if the club's transfer ban is upheld. Christensen is one player who will certainly be wanting to make a move, given he's barely played, while the Daily Star have a nice long list of players -- including Alvaro Morata, Kurt Zouma and Tomas Kalas -- who could be sold for £220m. All very well, except for the fact they might be needed in the first-team next season if no reinforcements are allowed to arrive. 11.33 GMT: Reported Arsenal and Manchester City target Thomas Partey is excited by the idea of playing in the Premier League, a source close to the Atletico Madrid midfielder has told ESPN FC. Reports in Spain have linked both Arsenal and City with a move for the midfielder -- with the source confirming a number of clubs in the Premier League and elsewhere have shown a willingness to meet his €50m buy-out clause. The source added that Atletico boss Diego Simeone is keen for Thomas to stay at the Wanda Metropolitano, and the player appreciates this support. But, at this point, he is considering all his options. 11.03 GMT: Atletico Madrid are keen on Roma defender Kostas Manolas, say Mundo Deportivo, but Manchester United are also interested given that his release clause is a low €36m. 10.31 GMT: Mexico manager Tata Martino says that PSV winger Hirving Lozano is ready for a big move. "Taking an intermediate step in Dutch football or Portuguese football, that has been traditional for Latino players," he said. 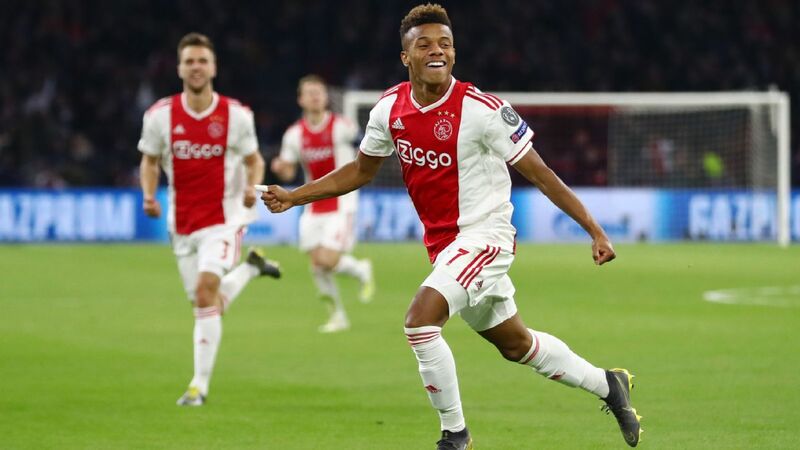 "I think Hirving has had an influential time in Holland and shown he can be a player who is incredibly valuable and can make the jump to the biggest clubs in Europe. It's clear, I think from the analysis side of the player, he's absolutely ready." 10.04 GMT: El Chiringuito report that Barcelona are interested in Quincy Promes. The Dutch winger only moved to Sevilla in August from Spartak Moscow and signed a five-year contract. Barcelona are evidently keen to reinforce their attack with a versatile forward player, but his release clause of €150m may prove prohibitive. 09.34 GMT: The agent of Valencia defender Mouctar Diakhaby says his client would consider a move to Napoli should a serious offer arrive this summer. The 22-year-old centre-back joined Valencia last year from Lyon and is tied to the Spanish outfit until Jun 2023. 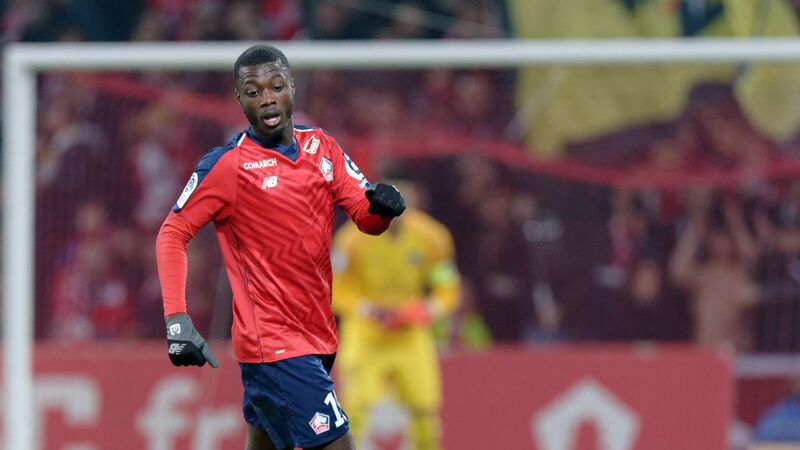 "I would love for Diakhaby to play at Napoli," Diakhaby's agent Jacques Crouzel told Calcionapoli24.it. "If a serious offer arrives, the footballer and I would be thrilled to go to Italy. He loves Italy and Italian football but we haven't spoken to Napoli or any other club. When he arrived at Valencia, he was going to be third choice in his position but he has become a regular starter. Valencia paid close to €20m to Lyon for the player and will only sell him for a higher figure." 09.12 GMT: Barcelona have been watching Everton forward Richarlison as they continue to work on an bolstering their attacking options this summer, sources have told ESPN FC. Brazil international Richarlison, 21, has scored 12 Premier League goals since making his £40m move to Goodison Park last summer. That form has put him on Barcelona's radar as the Spanish giants search for a long-term replacement for the 32-year-old Luis Suarez. Richarlison's name is added to the list of forwards linked with the Camp Nou that includes Manchester United's Marcus Rashford, Eintracht Frankfurt's Luka Jovic and Celta Vigo's Maxi Gomes. 08.30 GMT: Nico Schulz, Germany's hero in their thrilling 3-2 win over Netherlands on Sunday, has described Inter Milan as "the team of my dreams." Hoffenheim defender Schulz, 25, made a name for himself with his late strike in Amsterdam on Sunday, and has admitted he has his sights set on joining one of Europe's top clubs. He told Sky Deutschland: "Certainly one day I'd like to play in a top European club and there are some clubs who mean a lot because they're in the Champions League every year and the team of my dreams has always been Inter. But right now I'm happy at Hoffenheim -- we've got a great team and I'm happy here." Real Madrid to target Mane over Hazard? 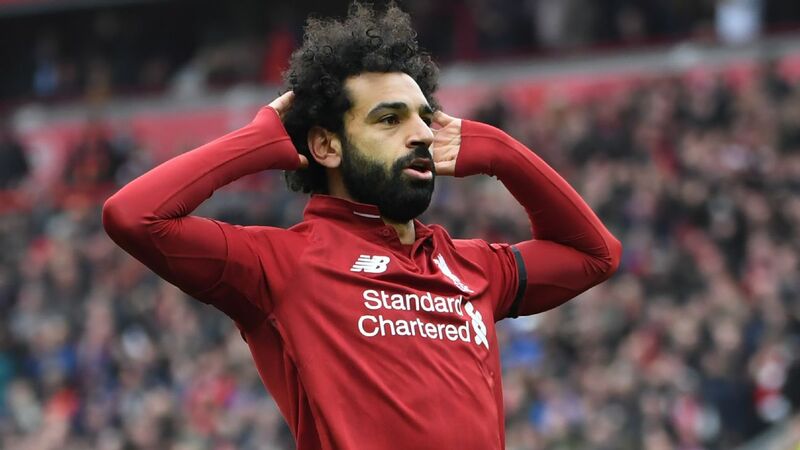 Eden Hazard has been linked with Real Madrid for years, but it seems that the Spanish club's transfer gurus have a different player top of their wishlist: Liverpool winger Sadio Mane. Marca reports that "Mane is Zinedine Zidane's primary target to reinforce Real Madrid's attack this summer" and that "the forward's simple and direct game is what he seeks for his new Real Madrid team." What this means for Hazard's future is unclear. He won't want to hang around at Chelsea if they don't make the Champions League, and won't take too kindly to being a backup option for Real either. Whispers have been swirling across the Spanish border from France in recent days, with Real Madrid insisting that they have no intention of spending outlandish sums to bring Kylian Mbappe from the French capital to its Spanish equivalent. France Football had suggested that Zidane was ready to spend as much as €280m on the French wonderkid. But Marca report that Madrid have no intention of lavishing a world record sum on him. The paper claim that the newly installed Zidane has been in discussion with the club's president Florentino Perez over bringing new faces to the Bernabeu -- but that Mbappe's name has barely featured. See above for those who have. Herrera and Thuram to Arsenal? Ander Herrera told El Periodico yesterday that talk of a move to Paris Saint-Germain was "logical," but there's also been speculation from the Daily Mail that he could join Arsenal on a free transfer. 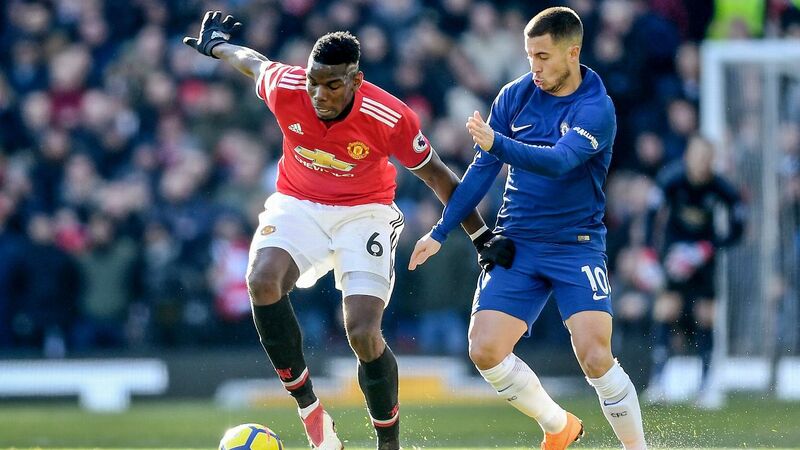 The Spaniard's contract at Old Trafford is up in the summer and, with just three months to go on his contract, it is hardly surprising that some of Europe's top clubs are eyeing him up. It would be something of surprise for him to move to the Gunners though, given they are direct rivals of United. Arsenal are also chasing Guingamp striker Marcus Thuram, according to the Sun. If you recognise the name, it's because 21-year-old Marcus is the son of 1998 World Cup winning France defender Lillian Thuram. Thuram Jr. is another whose contract is running down this summer and Unai Emery doesn't have a lot of money to spend, so is looking at cheaper options. Borussia Dortmund might have something to say about their interest though. - N'Golo Kante is going nowhere -- even if Real Madrid do come knocking this summer. 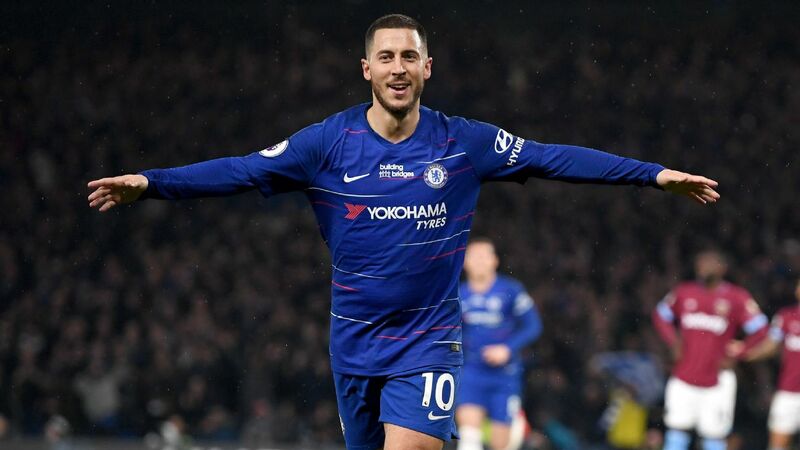 Currently away with World Cup winners France, the midfield dynamo has insisted that he has no plans to leave Stamford Bridge, despite a steady stream of rumours suggesting otherwise. The Evening Standard report comments from Kante while away with Les Bleus, with the midfielder saying that he still had aims with Chelsea. Refreshing given that he signed a new five year deal with the club in November worth an apparent £290,000 a week. - Could Joe Aribo turn his back on a big money move to the Premier League, in favour of staying at little old Charlton? Well, Football.London report that the League One side are still frantically attempting to persuade him to put pen to paper at The Valley -- and haven't given up hope of him committing his future to Lee Bowyer's promotion chasers. Arsenal have led the chase for the midfielder, who has scored six goals in 26 matches for the Addicks so far this season.